The charismatic character host of GIGGLE & HOOT will be in Sydney for a Meet & Greet event at Rouse Hill Town Centre. 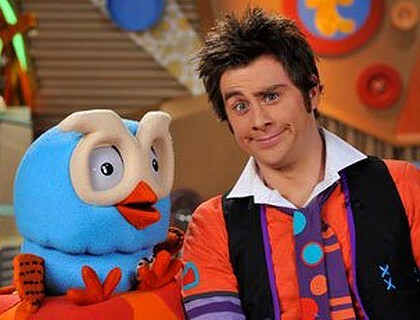 Jimmy Giggle will be available to sign copies of the new Giggle & Hoot Presents Hoot-tastic Dress Ups! DVD, CDs and other Giggle and Hoot merchandise. So pre-schoolers get your giggle-tastic selves ready to see Jimmy Giggle!! SATURDAY 5TH MAY 2012, 11AM - 2PM. *Please note these appearances do not include a performance nor an appearance from Jimmy Giggle’s feathered friends Hoot and Hootabelle.. they are owls after all, and like to sleep during the day.